You are here: Home / Preparing for Law School / Are You Willing to Look Stupid to Learn? Lee Rosen once said something interesting to me, which is that he runs across a lot of solo and small firm lawyers who are more concerned about looking like lawyers than they are in doing the non-glamorous work that’s required to get enough business to actually be a lawyer. Are You Too Focused on Looking Smart to Actually Learn? 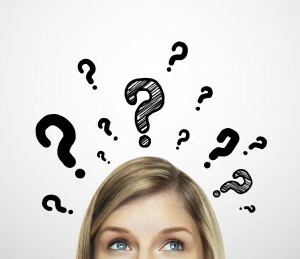 How often do you do the thing that makes you look (or feel) smart, rather than admitting you don’t know something and really diving in to try to understand it? It’s astonishing how driven most of us are not to look stupid in front of other people, even if those people are tasked with helping us learn something. And it’s not even just in front of other people — how often do you choose the task that’s less challenging, even if no one but you will know you failed? As I mentioned in my previous post, I’m trying to learn Spanish. Languages have never come easily to me, which is frustrating because I’m not used to being lousy at learning stuff. (Learning easily and quickly is one of my trademarks, in almost every other area I’ve every tried.) 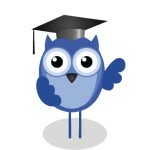 Let’s face it, learning a language isn’t rocket science. It’s pretty obvious what you need to do — engage with native speakers, and only use the language you’re trying to learn. So…what am I doing? Almost none of that! I meet Spanish speakers, and then talk to them in English. I work on my written grammar and vocabulary, which isn’t totally useless, but is also a lot easier than speaking and listening (for me). Or, my personal favorite, I use an app that doesn’t require any interaction with other people at all and gives me the chance to “Practice Weak Skills” any time I want to! So comforting. But not really the best way to learn. 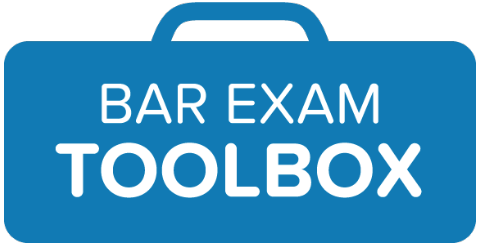 Over at the Bar Exam Toolbox, we work directly with students who need to pass the bar exam, and hear from lots of others about their struggles. At this point, we’re about two weeks away from the bar exam. Anyone studying knows what they need to be doing — practice, under timed conditions, without notes. Again, not rocket science. But what are we hearing? “I just can’t stay within the time limits, so I’ve been giving myself a few extra minutes to finish up.” “I’m not really using my outline. I just look at it briefly to check the rules before I start writing.” And so on. It’s understandably painful to do a practice essay with no notes and miss issues and not finish, but far better to do that now (and figure out why) than to show up for the test with an unrealistic idea of where you’re at! 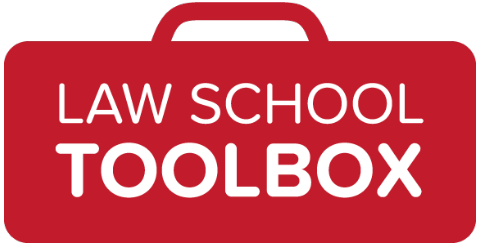 Or, at the Law School Toolbox, where we work with incoming law students to ensure they’re fully prepared for law school, it’s interesting that after paying for a course that offers personal feedback, some students turn in work that’s taken almost verbatim from the samples. I get that this makes you feel better, but it kind of defeats the purpose of paying someone to help you develop the skills you need to succeed in law school! Those don’t come from retyping someone else’s outline or attack plan. You’ve got to put in the work, really struggle with the material, and risk getting feedback that says, “Hum, try again” after you gave it your best shot. Look, no one enjoys looking stupid, but what’s the alternative? Never learning anything! My, isn’t it interesting that I haven’t interacted with anyone for the last 24 hours in Spanish? Why don’t I go to that yoga class, and look up the body part words I didn’t understand afterwards? Okay, fine. I’ll try to have a conversation with someone I know doesn’t speak any English, so they can’t help me out. The same approach applies to studying for the bar exam, or getting ready for law school. Isn’t it interesting that I want to spend all of my bar study time reviewing law I already know pretty well? Isn’t it interesting that I’m tempted to copy the sample outline and pretend I did it myself? Fine, I’ll commit to one closed-book practice essay and set a timer to ensure I don’t spend more than an hour on it. Okay, I’ll try to make my own written brief, even if I don’t send this version off to my tutor for feedback. For each day between now and the bar exam, I’m going to spend at least half the day doing things that make me really uncomfortable so I have the best shot at passing. From now on, I’m not going to look at any samples before I do my assignments, but I’ll review them very carefully after I’ve submitted my work for feedback to see what I can learn. These aren’t habits that can be broken overnight, but I think it’s worth trying! Having a growth mindset, and doing the sometimes unpleasant work that’s required to learn something difficult is ultimately the only way to learn and grow. Which is what we’re all trying to do, right? Now it’s your turn. What skills or information are you trying to learn? Where are you shirking from the hard work? What baby steps can you take to set off on a different path when you encounter resistance? Be gentle with yourself, but firm.